Swatch and smartwatches, smartwatches and Swatch. For years now, we've been waiting for the Swiss watchmaker to enter the arena in some capacity, and for years we've been left waiting with empty wrists. The ballet first began way back in the heady days of 2015, when Swatch CEO Nick Hayek hinted at the company's wearable plans, while calling the Apple Watch "an interesting toy, but not a revolution". Two years later, Hayek revealed that the company was working on a smartwatch operating system named 'Swiss OS', set for launch in late 2018. Excitement ensued, everything went quiet, then a spokesperson for the company told Wareable back in October that it's "still planning to release an operating system" - and that it'd launch no later than early 2019. With that in mind, an announcement should be just around the corner, so we've rounded up all the tiny seeds of information we have on Swatch's smartwatch debut, and speculated on where the Swiss company may lean. With 19 brands under the Swatch Group banner - including the likes of Tissot and Omega - it's difficult to know just where the design of the Swatch smartwatch will take its inspiration from. The company has previously hinted that it plans to debut its smart platform through a Tissot watch, and so it's fairly sensible to assume it'll maintain the luxury look that's typical of the brand. 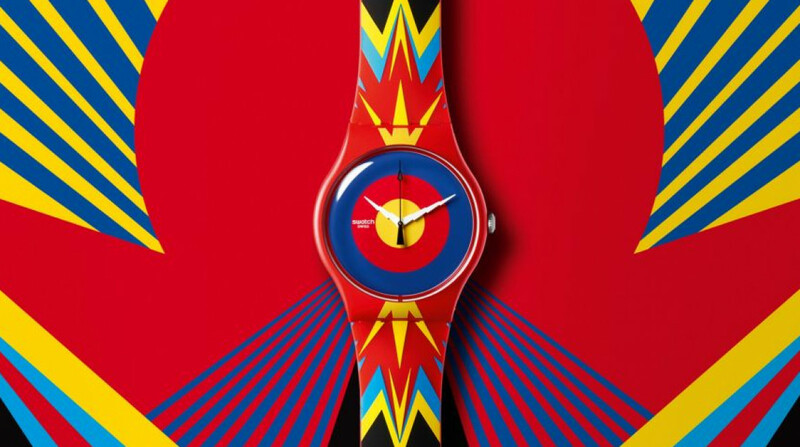 However, with so many brands to potentially feed Swiss OS to, Swatch is in a position to replicate what the Fossil Group has achieved over the past few years by having a mix of sporty, formal and gender-specific smartwatches at a range of different price points. And with such a big pool to choose from, it would be a bit underwhelming if it launched just a Tissot smartwatch to kick things off, instead of a small group from across its sub-brands - and, probably, a flagship Swatch smartwatch. Simply put, though, we just have too little to go off in this regard to be sure what Swatch has cooking. The company still holds its reputation as an innovator, but it's unlikely this will shine through on the hardware, since smartwatches have already gone through a rapid maturation in the time Swatch has held off releasing one. Where it's more likely to expect the company to innovate is in its Swiss OS..
What's another smartwatch software in a room filled with watchOS, Tizen, Wear OS and countless other proprietary platforms? Well, from what we know so far, Swatch is promising an OS with a slightly different approach - one with fewer software updates than rivals and something it calls a "Swiss vault" to protect user data. Judging from the few comments from its CEO, it's fair to assume Swatch's Swiss OS won't be direct challenger to the platforms produced by Apple, Google and Samsung, which focus largely on apps, fitness and leveraging internal sensors. And, in many ways, avoiding this fight could be a smart ploy. Since many of its sub-brands are style-first, it means that more practical elements - such as battery and limited internals in aid of a svelte design - could be prioritised through the software. In that sense, it could wind up looking very much like Lite OS, the software developed by Huawei to run on its latest smartwatch, the Huawei Watch GT. It's a limited package when compared to the industry heavyweights, but what it does offer is attractive for a lot of people: basic tracking, weeks of battery life and a thin design. And maybe a company with the muscle of Swatch could truly champion this formula. It wouldn't necessarily be an innovation, but it would offer an interesting riposte to the current smartwatch arc. Whatever the course, it appears as though SwatchPay - already launched in China and now coming to Switzerland - could be a feature within the company's smartwatch line. Interestingly, SwatchPay uses something called tokenization, creating a unique "token" for the device in lieu of any sensitive banking information. It's a passive technology, meaning it doesn't require a data connection or even a paired device in range, but one that still functions like other contactless payment systems. Naturally, just when all of this will actually materialize is the elephant in the room. When the company officially announced its entry into smartwatches back in 2017, it was coming off the back of a miserable 2016, where profits dropped by 47% and revenue dipped by 11%. With Apple becoming the biggest watchmaker in the world since then, it really does feel like Swatch is running out of time to make its mark. And though we'd typically expect an update on its progress at Baselworld, the Swatch Group will be a no-show at the event for the first time in 2019, after Hayek indicated in a statement last year that "annual watch fairs, as they exist today, no longer make much sense". Instead, it's planning its own watch event in Zurich from 19 - 26 March, just before Baselworld. So, if an announcement truly is coming in early 2019, expect it to be then. Of course, whether it's missed the boat is an entirely different question, and one which we won't have an idea of until makes the next stage of its arrival official. Stay tuned to this piece, as we'll be updating it with any and all developments in the area.